A history of Black Mountain College (1933-57), an experimental school which pioneered many educational, cultural, and artistic innovations. Skills for creating and maintaining a collective or cooperative group, especially living communities. Excellent, concise chapters on consensus decision making, facilitation and conflict resolution. A dossier focusing on the participation of women in the popular movements and revolutionary organizations in Central America. Contains transations from newspapers, pamphlets, documents, interviews and reprints of already-published material. Forsey, an activist and writer who works with the Federation of Egalitarian Communites has put together a collection of essays, and interviews with First Nations, religious orders and rural intentional communities giving their views and experiences as communities. This work lists 540 North American communities and 70 abroad, including contact information and a full self-description. A compilation of vignettes, fragments and thought starters that provides stimulating ideas for practical community transformation. 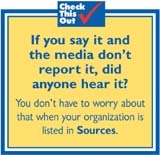 A subject guide to experts and spokespersons on topics related to community issues in the Sources directory for the media. Selected articles, books, websites and other resources on community and urban issues. Group of people who have chosen to live together, with egalitarianism as one of their core values. Field of Magic is a docu-poem about people living for over two decades in Buda forest near the closed down Kariotike.s dump, 40 km from Vilnius, Lithuania. A result of four years work, the film captures the perspective of the dump dwellers in telling the story of a dissolving community, its uniqueness, daily rhythm, peculiar way of life, every-day joys and sorrows. Detailed information and advice on how to organize a group for social change. Edited by "Communities, Journal of Cooperative Living," this book is a resource guide of ideas, resources, references and contacts for people interested in living and working cooperatively. Includes well-annotated section on politics, decision making, education, community organizing and much more. A review of the phenomenon of community in the city in the sixties and seventies. People who advocate a vision of distinct communities that speak different languages, keep apart from each other, and communicate with the structures of the larger society only through interpreters, are doing more harm than good. What they are advocating is not diversity but entrenched division. An in-depth study of the Bruderhof community. One of the largest intentional communities in Germany. A sociological description of life in company towns. A nudist community (or in Europe, naturist community) is an intentional community comprising nudists/naturists who choose to live together on a permanent basis where it is understood that no clothes will be worn. Information on how to plan action, how to organize meetings, how to train participants for action, how to negotiate, and how to end a particular exercise in community organization. Essays arguing for the devolution of government and putting forward workdable models, many of them tested in practice, of how we might restructure society to better represent the full diversity of its parts. Watershed stewartship, community forest boards, local currencies, and eco-constitutions are some of the ideas discussed. Global capitalism relentlessly displaces people and abandons places because it views local communities, cities, and even nations as inconveniences in the path of progress. Place-consciousness, on the other hand, encourages us to come together around common, local experiences and organize around our hopes for the future of our communities and cities. While global capitalism doesn't give a damn about the people or the natural environment of any particular place because it can always move on to other people and other places, place-based civic activism is concerned about the health and safety of people and places. An overview of the issues and politics of preserving the rural nature of the countryside. Byrne outlines the problems facing rural communities: rapid pace of changge, not having access to the information necessary to cope with change and thirdly the failure to believe that individuals can make a difference. Includes has an extenisve list of resources including newsletters, government publications and academic papers to help promote community discussion. How can activists make an effective case for social justice in an atmosphere of cutbacks & belt-tightening? Connexions' Ulli Diemer leads a discussion Sept 24 on how to build on shared values to communicate a positive vision for change. The strains that take their toll on community groups. The creativity and conflict that arises when queer avant-garde performance artists intersect with a community of transgender immigrant women at historic Los Angeles bar Silver Platter.